Located in the Newport Coast section of Newport Beach, Crystal Cove is a wonderful area filled with parks, residential areas and shopping and dining. Crystal Cove is located between the Pacific Ocean and the Pacific Coast Highway. It sits just north of Laguna Beach. The Crystal Cove State Park is an official California State Park that encompasses 3.2 miles of coastline. The park contains 400 acres of bluffs, 2,400 acres of canyons, 18 miles of trails and 1,400 acre Marine Park. The Crystal Cove Historical District is filled with 48 cottages built in the 1920’s and 1930’s. This remains one of the best examples of historical Southern California coastal development from the early 20th century. Due to its high bluff setting Crystal Cove has some the very best view properties in Newport Beach. Among the amazing views in this area are the Pacific Ocean, Newport Harbor, Catalina Island, City Night Lights, white water and stunning sunsets. There many distinctive neighborhoods to choose from in this area: White Sails, The Strand, Oceana and Seascape, are just a few. The Franco Team is well prepared to introduce you to each neighborhood and help you find your best match in the Newport Coast real estate market. The Crystal Cove neighborhoods have a social gathering hub in the Canyon Club Recreational Center. 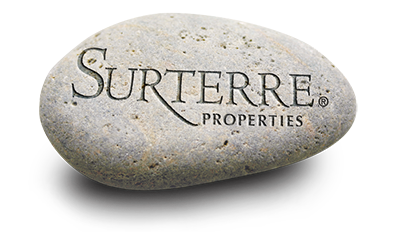 All Crystal Cove neighborhoods are invited to participate in activities here. 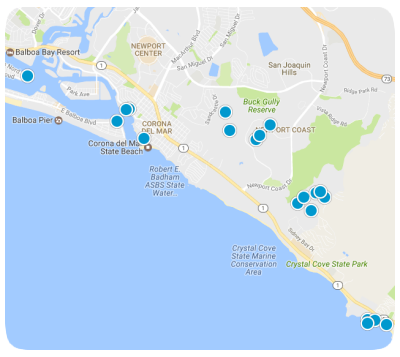 Homes values in Crystal Cove range from 350,000 dollars for a smaller condo to 4.5 million for a custom built view estate. There are both guard gated and non guard gated neighborhoods to choose from in Crystal Cove.